The Romans liked to do things efficiently, and so while others were building in-ground fire pits, they were constructing portable ones that made it easy to set up and break camp. This Roman Fire Pit is a modern recreation of those ancient creations. At first glance, this fire pit appears to be little more than a metal box, and in truth, you would be partially right. 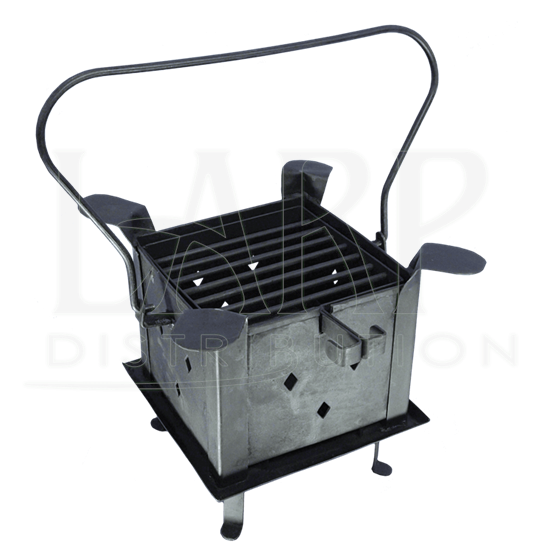 It is a finely constructed metal box that is designed to hold hot embers and small flames, which makes it a useful way to contain a small campfire, while channeling the flame for use in various camping tasks. The top of the box features four little flaps, as well as a grate that can be used for heating pots and pans, which could be filled with all sorts of vittles. 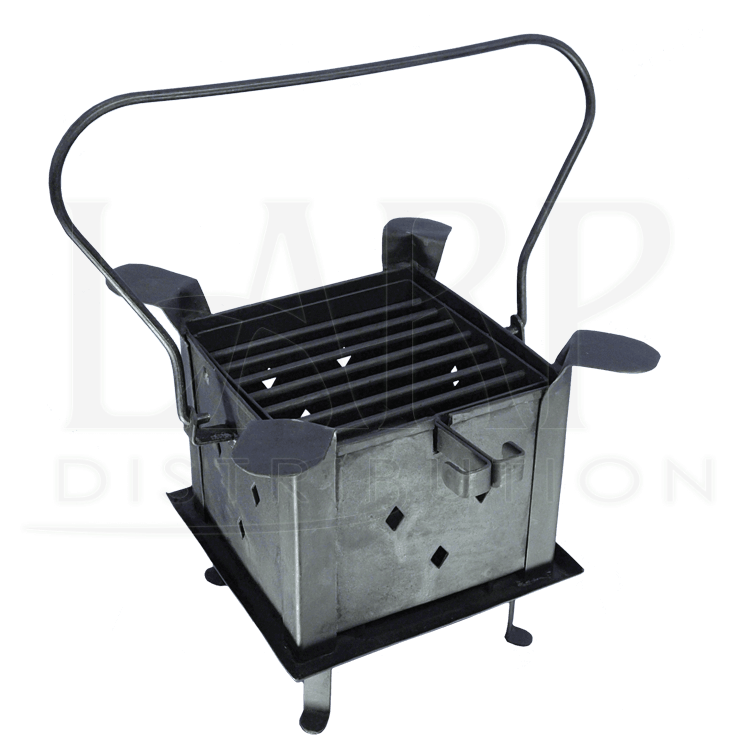 The fire pit also features a broad handle that is perfect for use when it comes to carrying and moving this camping accessory, while the bottom of the box features little legs, so that it stands on its own and does not scorch the ground or the grass with its heat. In essence, this fire pit is a self-contained campfire. It is roughly cube-like in its shape, possessing a height of height of 11 inches and a width of 12 inches. If you are looking to do things the Roman way, either for a fun camping experience or for Roman reenactment, then this Roman Fire Pit is definitely the way to go.